The popular VST-200 Volleyball Spike Trainer attaches to the rim of your height-adjustable basketball system. 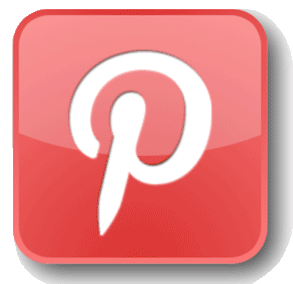 Volleyball height adjustment is performed by adjusting your basketball rim height up or down. The VST-200 Volleyball Spike Trainer is designed to be installed and removed with no tools. For installation on fixed height (10 foot) basketball systems in school gyms and play yards. The VST-300 Volleyball Spike Trainer is adjustable in 4" increments between 7 1/2 and 10 ft. and is designed to be installed with minimal tools. 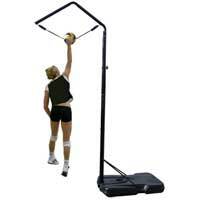 Volleyball Spike Trainer Model VST-400 for wall mount installation in Gyms and Trainng Facilities. Provides 28 inches of height adjustment in 4 inch increments.5/16 x 3 inch Lag Bolts are included for bolt-in installation on a wall. Volleyball Assembly and Hitting Arm for Mounting on your own Pole Assembly. Requires drilling and a mounting Pole of 2" diameter.Poles larger in diameter than 2" cannot use the VST-VHA. The New 30" Volleyball Setters Target from Club Volleyball Gear (CVG) provides a sturdy and consistent platform for practicing Volleyball Setting Technique. The Volleyball Setters Target is designed to mount in place of our removable Volleyball Ball Assembly. Just detach the Spike Trainer Ball Assembly on our Volleyball Spike Trainers, attach the 30" Volleyball Setters Target and start practicing sets.Requires a VST-100, 200, 300, or 400 for use.